Vietnam is working to develop its own earth observation satellite, which will help the country manage natural resources and mitigate the impacts of climate change and natural disasters, a conference heard yesterday. The project, worth about VND7 trillion (US$301 million), is planned to use official development assistance funds and the State budget from 2011 to 2023. The project was approved by the Government in 2006. Vu Anh Tuan, deputy head of Vietnam National Space Centre, said the construction of the centre is part of the project, and would be completed by 2019. 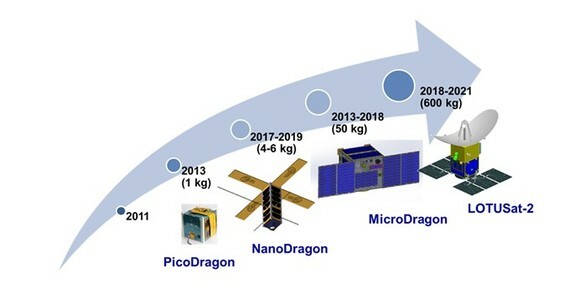 The centre successfully developed the first PicoDragon Satellite in 2013, which could operate in space for three months. Three other satellites, including NanoDragon, MicroDragon and LOTUSat-1, are currently under development. Vietnam is among the top ten countries in the world most affected by climate change, according to the UN. The country has recorded unusual weather conditions in recent years. Each year, the country suffers loss estimated at $780 million due to public health and environmental problems related to climate change.